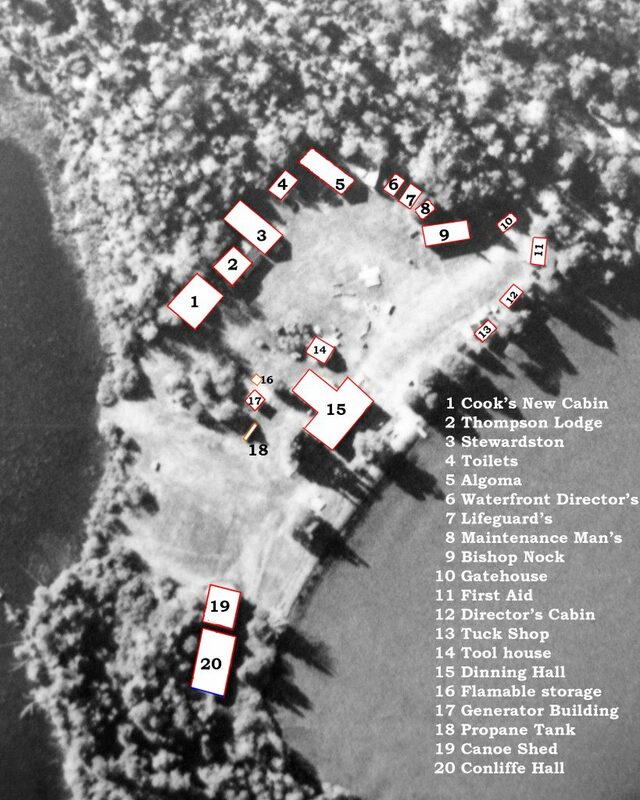 Camp Gitchigomee is located on a peninsula at the east end of beautiful Sandstone Lake, southwest of the City of Thunder Bay. 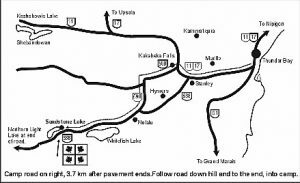 It is about a 1 hour 15 minute drive west along Highway 11/17 to Kakabeka Falls, south on Highway 590, then west on Highway 588. Drive 4 km past the “Hwy 588 Ends” sign (it is now paved) to the camp road turnoff at the sign (on your right). This is the access road to an MNR Public Launch and campground. Go slowly; steep grade.